Big Sur is an outdoor enthusiast&apos;s paradise. Here you will find a range of campgrounds and hiking trails suitable for all levels of fitness. Big Sur campsites range from fully equipped RV sites under the shade of redwoods to rustic hike-in tent sites with spectacular ocean views. For the dedicated hiker, use of the Los Padres National Forest&apos;s trail camps allow days of travel on foot without ever having to see civilization. Most of Big Sur&apos;s campsites are located within state and federal parks, and most are first come, first served. Camping reservations for Pfeiffer Big Sur and Julia Pfeiffer Burns State Parks can be made through the Reserve America website. Three privately owned Big Sur campgrounds, Big Sur Campground and Cabins, Fernwood Resort and Riverside Campground and Cabins, are all nestled among the redwoods in the heart of Big Sur. If you want the tent camping experience without the hassle of bringing your own, stay in a Big Sur tent cabin at either Fernwood Resort or Big Sur Campground and Cabins. 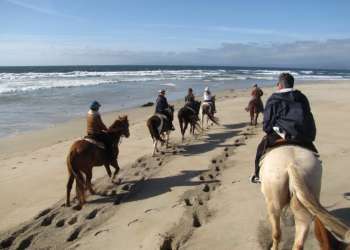 Contact the properties directly to make Big Sur camping reservations. Treebones Resort in southern Big Sur offers a more glamorous approach to camping offering tent campsites and yurts with views of the Pacific Ocean. Much of Big Sur is under the auspices of the state and federal park systems, and hiking trails permeate Big Sur. The Los Padres National Forest, Julia Pfeiffer Burns State Park, Pfeiffer Big Sur State Park, Garrapata State Park and Andrew Molera State Park are world-renowned for their stunning scenery, and with good reason. Each park has its own unique atmosphere, and no two hikes are alike. Big Sur hiking trails range from tranquil walks along a coastal waterfall at Julia Pfeiffer Burns State Park, to miles-long ascents through the redwoods and into the rugged wilderness at the Los Padres National Forest…and everything in between. The sprawling nature of the region makes it possible to hike for hours in solitude. 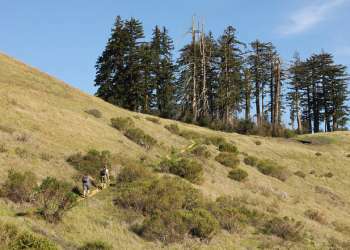 For more information on hiking in Big Sur, see the park links or view the "Top 10 Day Hikes in Monterey County."